an untapped wealth of information that is literally right under their feet! Here’s how. 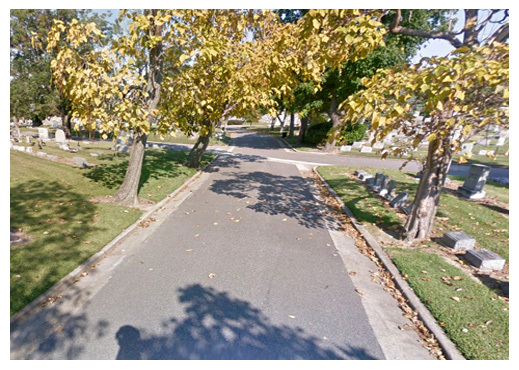 1) Leverage Google Street View assets by shooting memorial parks; head stone, crypts, markers and so on. (Many parks have client software so this could be used as well for data integration. There are digital data companies who are operating in this space. See Legacymark.com. 2) Make this new application accessible only through Google Plus. 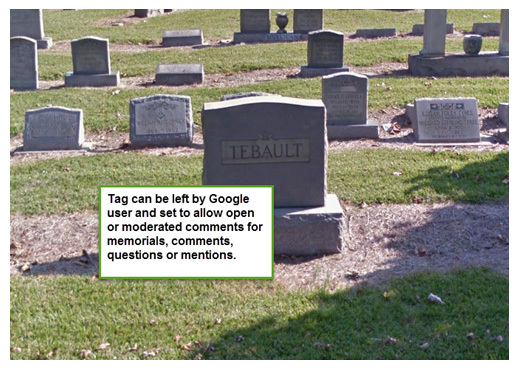 or accessible via a Google user account login. 3) Let people tag these images as well. 7) Now Google can have ‘Google Ancestor Circles’ and make connections to others. Users can use this feature to do some quasi – genealogy. Conceived by Rick Vidallon ~ posted, concieved July 1, 2009.